Valletta is the oldest soul you will ever meet. When I adopted her from a local Doberman rescue, I quickly learned that she was more interested in people than other dogs. 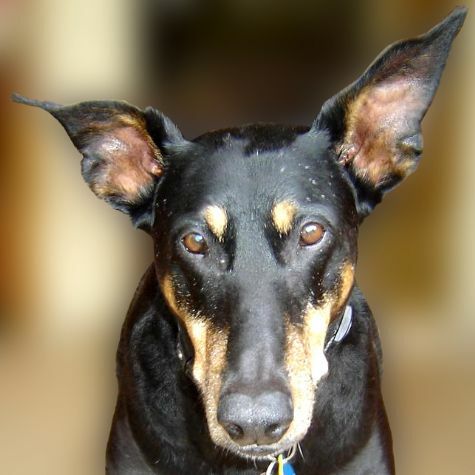 I often joked that I was going to turn her into a therapy dog, since her most famous move is that classic Doberman �lean�, which makes everyone pay attention to her. Finally I had to follow through, and I found LO4P. Valletta's favorite activity is visiting a classroom and having hoards of young tots climb all over her.